50% packetloss to the router? I had a s***load of problems with my ISP and i still have. They offered me to buy my own router that they will pay for so i did. I looked up some tests and the DIR878 was a very good choice. Now after a week i'm still experiencing the problems but i looks like my new router is part of the problem too! As you can see on the screenshot i have 50% packetloss. The pc is brand new, the router is brand new, the signal is good so how can this happen? I hope you can help me out with this one! Re: 50% packetloss to the router? What brand/model modem do you have? Is the packet loss via Ethernet and/or Wi-Fi? 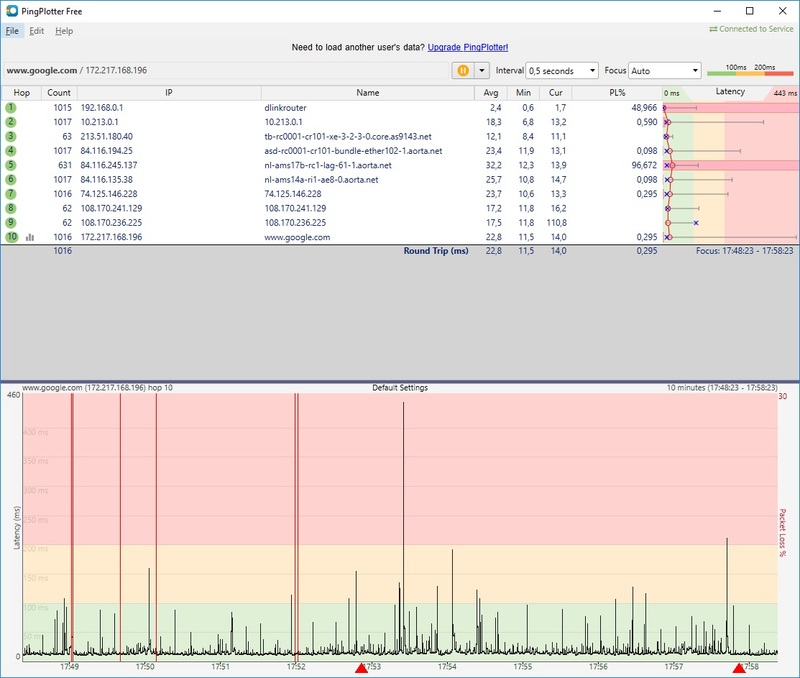 Same packet loss on multiple computers/devices? If Ethernet, are you connected directly to the router or connected to a switch? Is this happening on all ports on the router? Try a different cable? - Running the tests on Windows 10 but my 2011 Macbook pro had the same problems. You may want to test without the router if possible. Connect the computer directly to the ConnectBox and test. Keep it in bridge mode which will give your computer a public IP. You may need to reboot the connectbox if the computer is not pulling an IP. Just to verify, this Connect box has an integrated modem? Definitely test via Ethernet. Wifi can always have packet loss so Ethernet is better making sure the router is working properly. I would like to check only if my router is working correctly to assure it isn't part of the problem. Just to speed it up a little, fixing the big problem with my ISP comes later on. The ConnectBox is a modem and router in one. Putting it into bridge makes it only a modem. In pingplotter, if you test any website, does that first hop get around the same packet loss? What firmware do you have on the router? Maybe reset the router and setup again. Possibly reflash the firmware or if you have the latest, maybe downgrade the firmware to an earlier version and test again. If you get the same results, from multiple devices, wifi and ethernet, router is definitely defective. You should not be getting 50% drop on the first hop. Fact is from multiple devices, router is the issue. I just tried with a macbook pro (wired and wireless) and the problem doesn't occur on that one. only a few percent (3,1) packetloss on wireless. The strange thing is that the problem happpens on wired and wireless so it must be a setting on both parts?